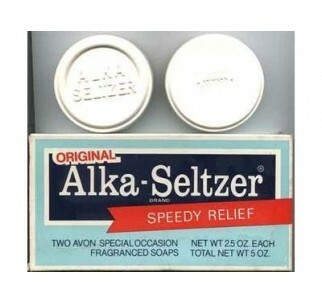 The Alka-Seltzer Soap was produced by Avon. There were two scented soaps packed in a styrofoam sleeve in the box. This retail package was never sold in retail stores. 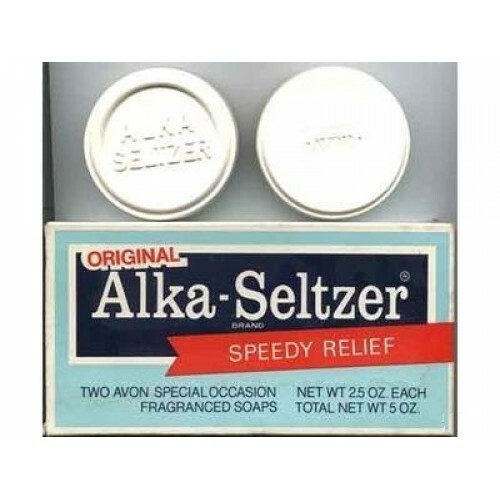 It was distributed in the 1960's through Avon's sales network. The box measures 3 inches long by .75 inches wide. The total weight is 5 ounces. Do you remember this unique novelty soap? Let us know by leaving a comment in the review box!